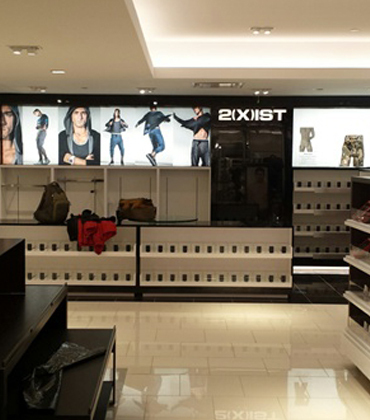 LED Retail Display lighting is one of the most crucial aspects in attracting customers into a store and ensuring the products and brand elements are lit properly impacts the customers perception positively. The longer a customer stays in a store, the greater the emotional connection, which results in a desire to interact and purchase. 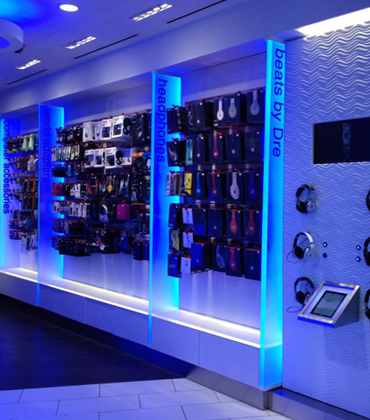 Recognizing the importance of retail locations, DLC delivers customer solutions that brings brands to light. Our vision is to collaborate and partner with leading brands to lead the way in the ever-changing retail landscape. With panel lighting, you can create smooth, even illumination across an entire surface. Create the right mood by backlighting surfaces like floors, walls and ceilings and get specific by backlighting products and brands with lit shelving, or behind graphics. Showcasing fabrics, jewelry, clothing, shoes, and even produce require lighting that provides accurate color representation. 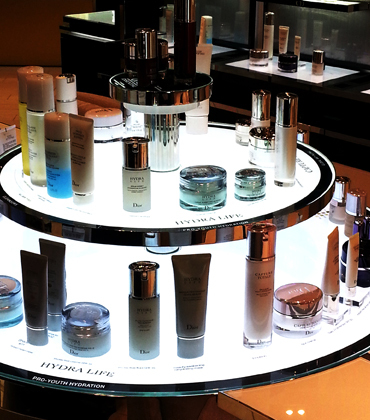 With the help of product lighting, it’s possible to hide the lightsource while ensuring that your products stand out. Because accent lighting highlights what matters, it works perfectly as a way to draw attention to elements in a retail space. 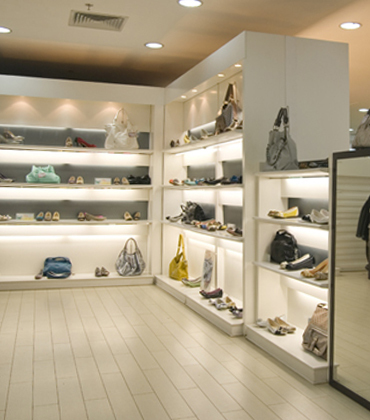 As a marketing technique, decorative accent lighting creates an inviting, conducive environment for shoppers. With unlimited potential, signage lighting works in different ways depending on the desired effect. 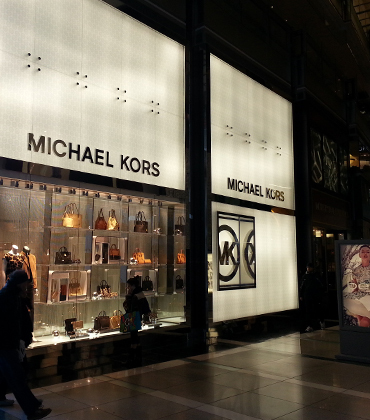 To ensure backlit signage works with your store design as a part of retail messaging, low profiles and lightweight signage solution are critical. The original frameless, edge-lit LED light panel for bright, even lighting across surfaces; LumiSheet has always been the first choice for fully custom, trend-setting retail lighting. Because of its ingenious flexible design, the LumiFlex brightens even the most challenging locations and is often used to achieve uniform display lighting, discreet under cabinet lighting or to accent curved edges. Elegant, easy to install and highly durable, LumiStick is a great choice for illuminating recessed areas. Made for designers and installers alike, LumiStick can be customized to suit any project. Ideal for cosmetics displays, fitting rooms and jewellery, the Omni Control color tuning touch pad for mirrors helps customers see merchandise in a variety of light temperatures that reflects the product in its intended environment. Because of its ingenious flexible design, the LumiSheet Flex brightens even the most challenging locations and is often used to achieve uniform display lighting, discreet under cabinet lighting or to accent curved edges. 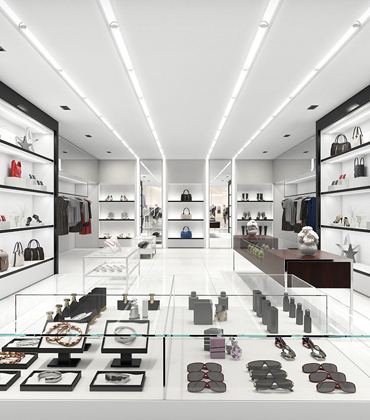 Lighting retail spaces has everything to do with planning, designing and constructing form, space and ambience to reflect functional, technical, social, and aesthetic considerations. With DLC, you can creatively manipulate light to create a remarkable experience for customers that translates into revenue.